We finally get to try out some Metal Gear Solid: Peacewalker co-op! When it was confirmed via a special trailer, we still had no idea how the co-op would be implemented. At the time of this writing, we still don't...but rest assured we're looking into it. How, you ask? IGN managed to get a copy of the Tokyo Game Show exclusive MGS: Peacewalker demo, and they're hosting it for free to anyone willing to sit through the 152 MB download. They've also posted instructions for installation. Note: the demo is in Japanese, so some helpful fans have put together an FAQ and walkthrough here. 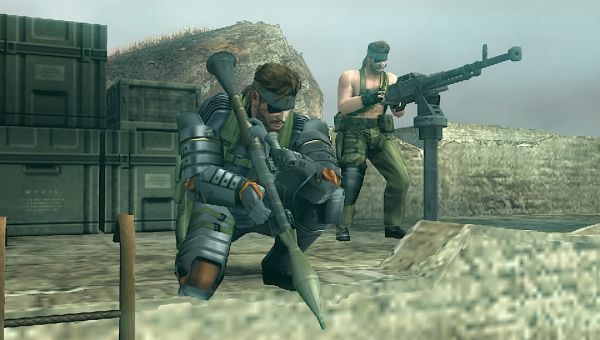 Metal Gear Solid: Peacewalker Demo Coming - In English! Page created in 0.2506 seconds.